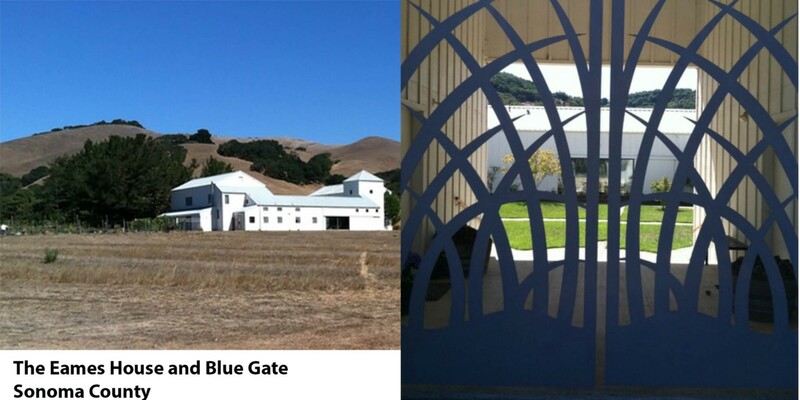 Last Sunday (November 19, 2017) we entered through the beautiful blue steel gates of the Eames house in Sonoma County and were immediately transformed into the magic of Charles and Ray Eames’ world of art, function, mathematics and whimsy. We were hosted by Llisa Eames Demetrios, Eames’ granddaughter, who herself is an artist and an accomplished sculptor, and her husband, Mark Burstein, who has a fantastic collection of Alice in Wonderland memorabilia. He has a tower full of books — tens of thousands of them — and other fun objects all related to capturing the imaginative writings, the mathematical undertones and the dreamlike artwork associated with Lewis Clark’s classic. 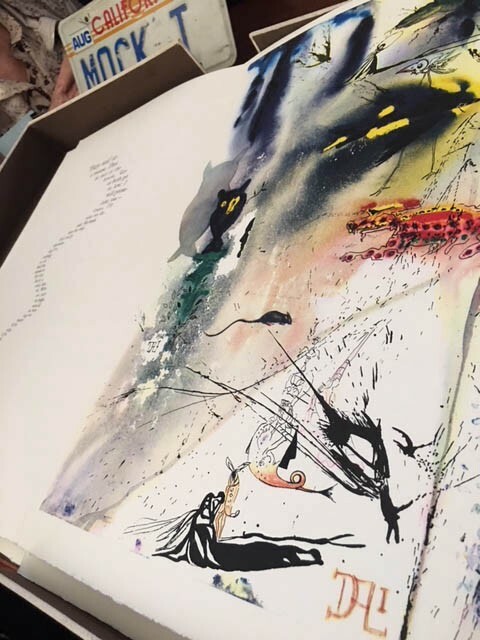 One fascinating folio contained artwork by Salvadore Dali to annotate Alice in Wonderland. Seen in this picture from Mark’s folio (which he doesn’t usually open for visitors because it is fragile and precious) is Dali’s beautiful illustration, alongside a California license plate about the Mock Turtle. Note the text printed in the form of a mouse’s tail and Dali’s swishy-tailed mouse in the picture! There are dozens of such stunningly beautiful Dali paintings in this book. Mark is full of passion for all things delightfully whimsical — he recited “nonsense” poetry by Ogden Nash and delighted in mathematical curiosities and lateral thinking — jumping from a set of ideas from one realm of learning to another seemingly unrelated one. His is a world of puzzles, adventures, Martin Gardner, surrealism and imaginative poetry! 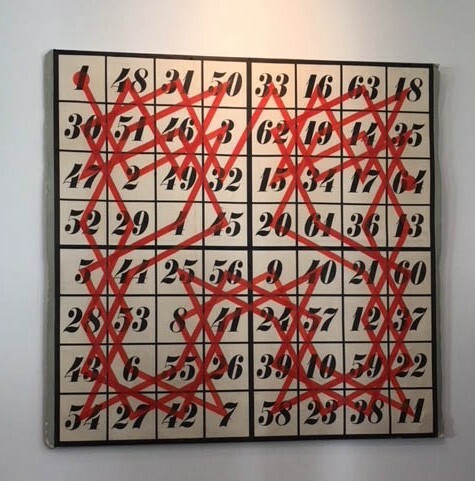 Painting from the Eames’ Collection depicting a knight’s tour — starts at 1 and ends at 64. 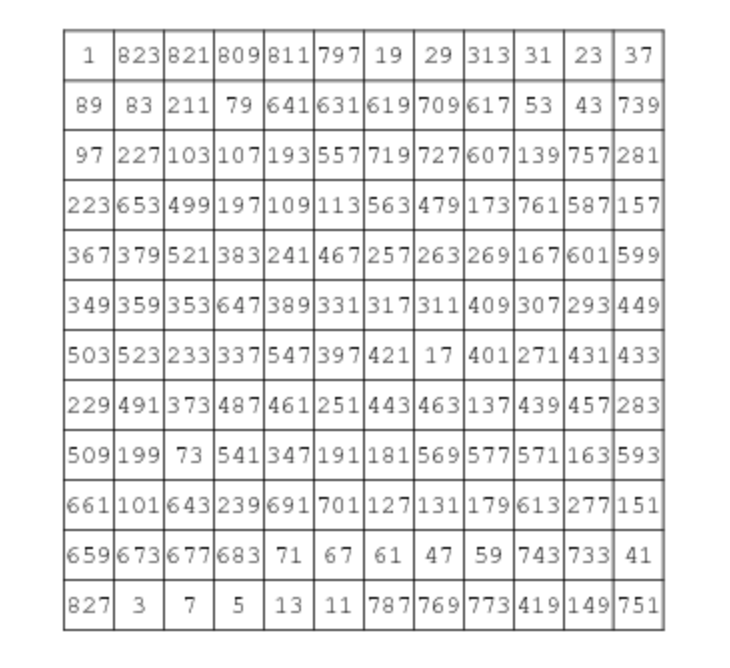 Each square is visited once. 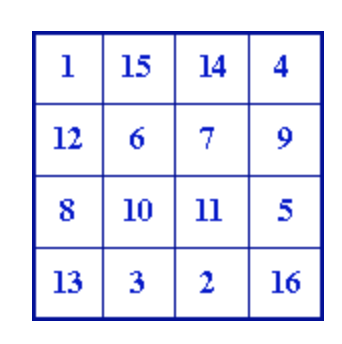 It also represents a magic square! The painting above shows a knight’s tour. What is a knight’s tour? It is a journey by a knight across the chessboard starting at a given point and traversing all 64 squares while visiting every square just once. Knights tours are a big mathematical curiosity and have only been partially understood, even today with modern computers. For a 8 by 8 chessboard trillions of knight’s tours are possible. Knight’s tours can also form a closed loop — topologically a circle route through the 64 squares of a chessboard. There are more than 26 trillion possible closed tours!